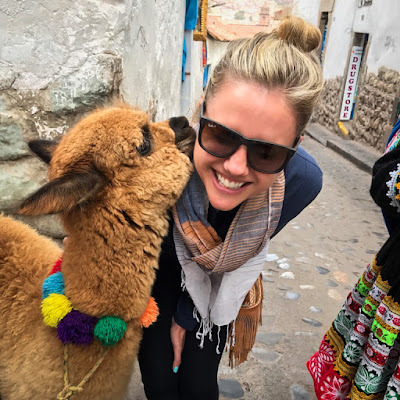 When I returned home from Peru, I often got asked: "What was your favorite part from the trip?" There is a certain energy about the place that is hard to describe in words and photos, but I will do my best to show you why this place was so magical. There has been talk of more regulation, and perhaps shutting it down altogether in order to preserve the site, so my recommendation is to visit ASAP! 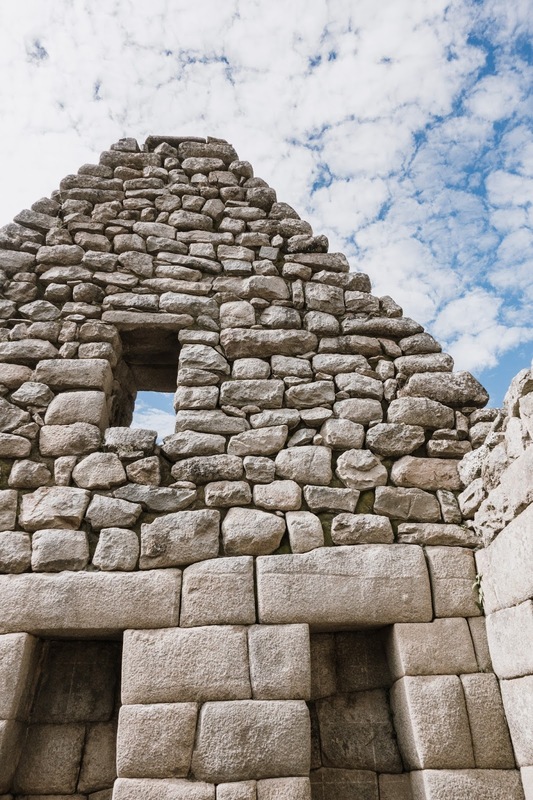 Your Machu Picchu adventure will start in Cusco (sometimes spelled Cuzco.) 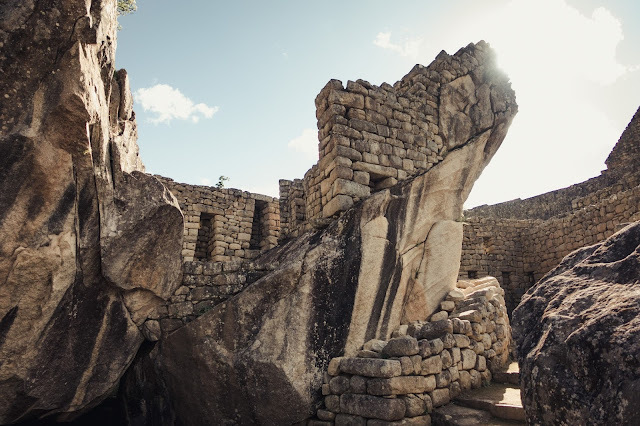 The site was the historic capital of the Inca empire until the 16th century Spanish conquest. It's located in the Andes, with an elevation of 11,200 feet. (For comparison, Denver is 5,200.) So yeah... its HIGH. You will most definitely experience shortness of breath, and some actually get sick from the altitude. I recommend asking your doctor for a prescription of Diamox to help combat it. As I mentioned at the end of Part I, our outbound flight was delayed about 15 hours. 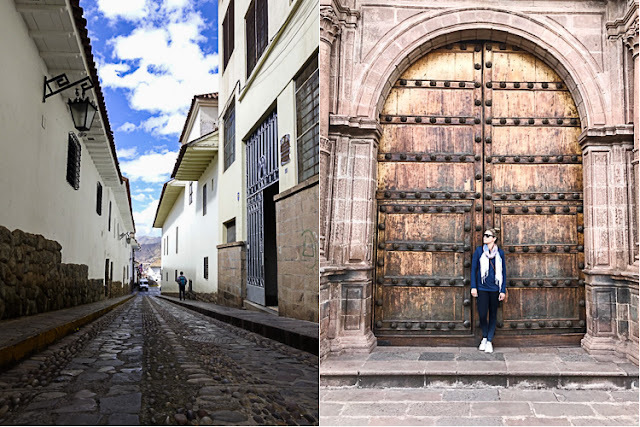 For this reason, it's extremely important that you leave yourself a buffer day in Cusco. 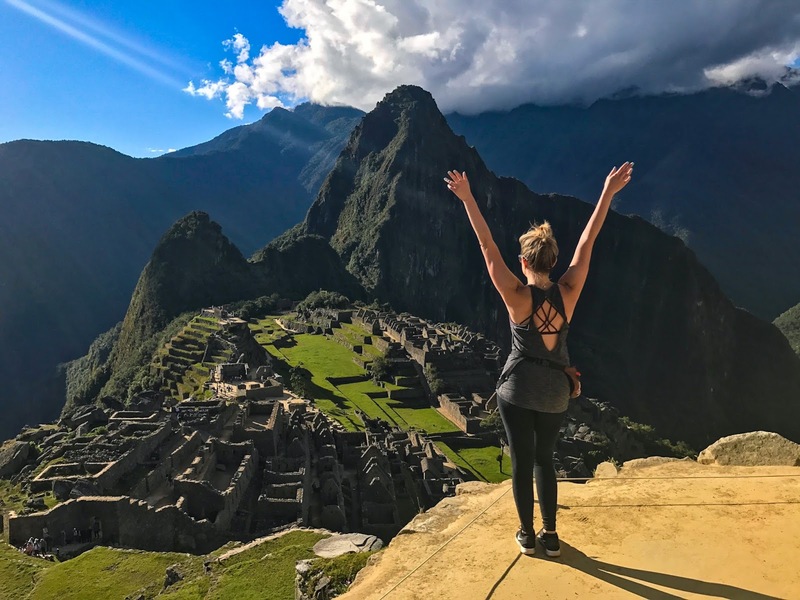 Not only will it allow you time to adjust to the altitude before tackling Machu Picchu, but it will allow you some flexibility in the event you have any travel issues. Again, can't thank Avianca enough for providing us with hotel, transportation and bus vouchers for a weather cancellation. Airlines in the states simply wouldn't go that far. The flight is just a little over an hour. 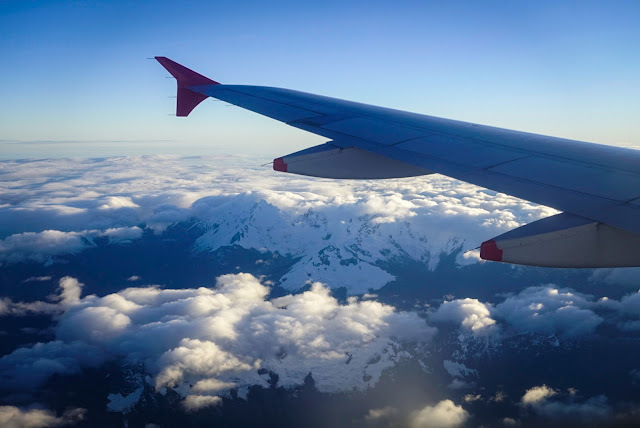 Try to grab a window seat, as you will fly right over the Andes mountains! Devin & Dana decided to spring for a "splurge" hotel in Cusco, and I'm so glad they did. We were in love with this place! This little boutique hotel was beautiful, with a welcoming staff and top notch service. Upon arrival, you are greeted with Coca tea (yes, made from coca leaves, and believed to help with altitude sickness), and fresh juice. Breakfast is included in your stay and is quite the impressive spread of breads, fruits, cheeses, hot dishes, with eggs & espresso drinks made to order. (Be sure to try their version of eggs benedict on the specials list.) 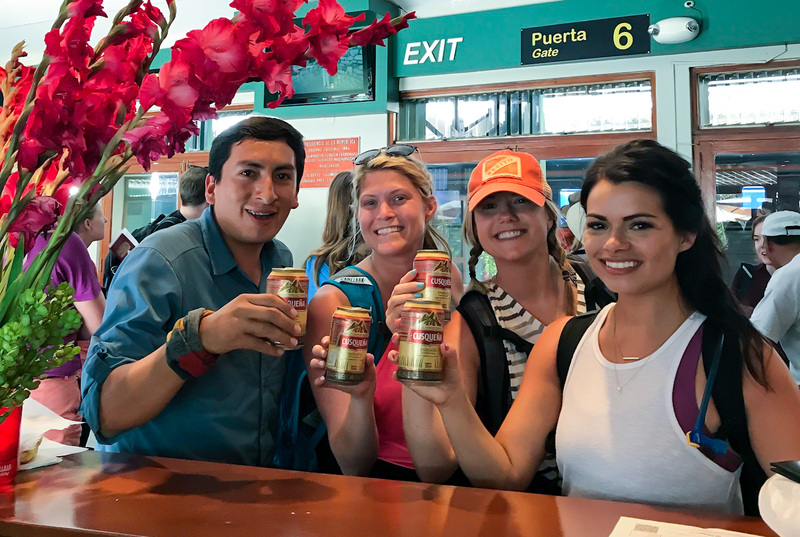 Each evening, they offer a free happy hour, where we received a hands-on Pisco sour lesson from the bartender and got to make our own drinks! The rooms are also equipped with extra oxygen, should you need it, at an additional cost. We also took advantage of the spa on our final day, where we soaked in the hot tub and received heavenly massages. (Much better than the sketchy ones we got on the street earlier in our stay.) 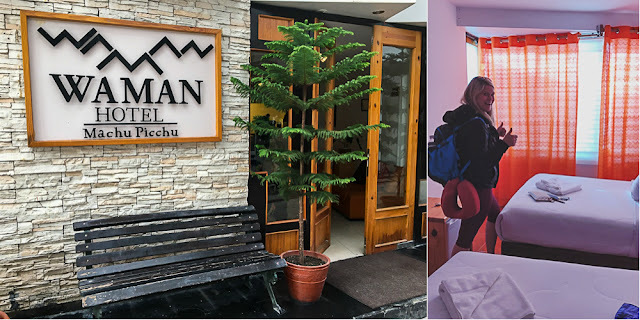 The spa was spendy by Peru standards, but on par with what you would pay at a nice spa in the U.S.
You will need to stay in Cusco on the front end and back end of your Machu Picchu adventure, and you will store a majority of your luggage with the hotel while you take just a day pack to Machu Picchu. Our first day in Cusco, we simply walked around the Old Town portion of the city, which is also where our hotel was located. You will have no shortage of opportunities to take photos with alpacas, lambs and women dressed in traditional Peruvian garb. They "only" charge in tips and leave it up to you how much, but be warned, they will get angry if they don't feel it's enough of a "propina." It was here we also did most of our shopping for gifts as we walked up and down the cobblestone streets and admired the architecture. 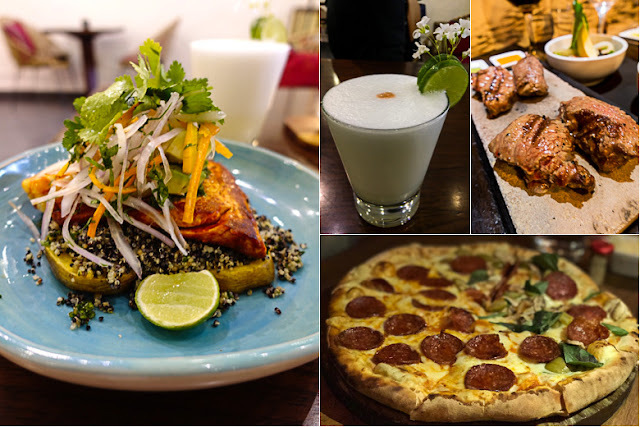 Our first night there was also a memorable meal at Uchu Peruvian Steakhouse. It's one of those "hot rock" steakhouses, where your food comes seared, and you can allow it to cook and sizzle in front of you as long as you want until it's done to your liking. They offered beef, seafood, lamb and alpaca (top right). Despite just having had my photo taken with one earlier in the day, this was a little weird, but I just had to try it. And guess what? It was SO good. A little gamey, it was sort of a mix between lamb and pork. It's an important part of the Peruvian culture and as an added bonus, it's lower in fat an cholesterol than its red meat counterparts. Our final night in Cusco was the night we returned home from our two-day Machu Picchu adventure. Normally I wouldn't condone pasta and pizza on a trip like this, but as we drove by, our guide told us that it was actually really good. SOLD. You know, sometimes at the end of a long and exhausting trip, you just want some carbs. La Bodega 138 checked all of those boxes. We ordered the carbonara, the bolognese and pizza... all were actually/surprisingly really good. They also had a huge selection of beer if you're into that. Speaking of food, we had some time to kill on our final day before our flight, so I looked into cooking class options in the area. There was one offered by the same people as Uchu, with all of their ingredients sourced through the restaurant, so we knew we were getting high quality food. They offer longer, more intensive classes, similar to the one we took in Chiang Mai, but also easy one-hour classes. We signed up for the one-hour ceviche class, which cost us about $30. 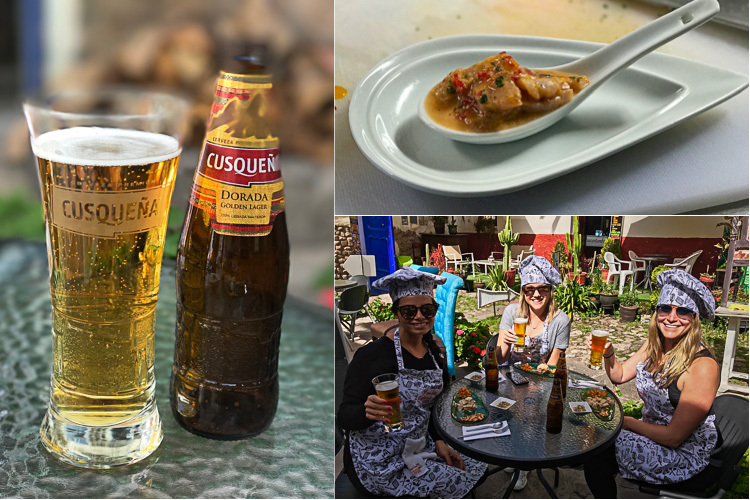 We learned how to make a tiraditio, a traditional ceviche, and also a vegetarian version, made with quinoa. Beer was included, and we enjoyed our creations in the little courtyard. Side note: If you'd like to check out the spin I did for the blog, check out my recipe for Yellowtail & Mango Ceviche. Machu Picchu: But let's get to the main event. The real reason you come to Cusco, or Peru even, is to see Machu Picchu. It is considered one of the Seven Wonders of the Modern World, and if you have the opportunity to experience it, you will understand why. To see the care and precision with which the Incas built this back in the 15th century on top of a freaking mountain is just incredible. And breathtaking. And awe inspiring. 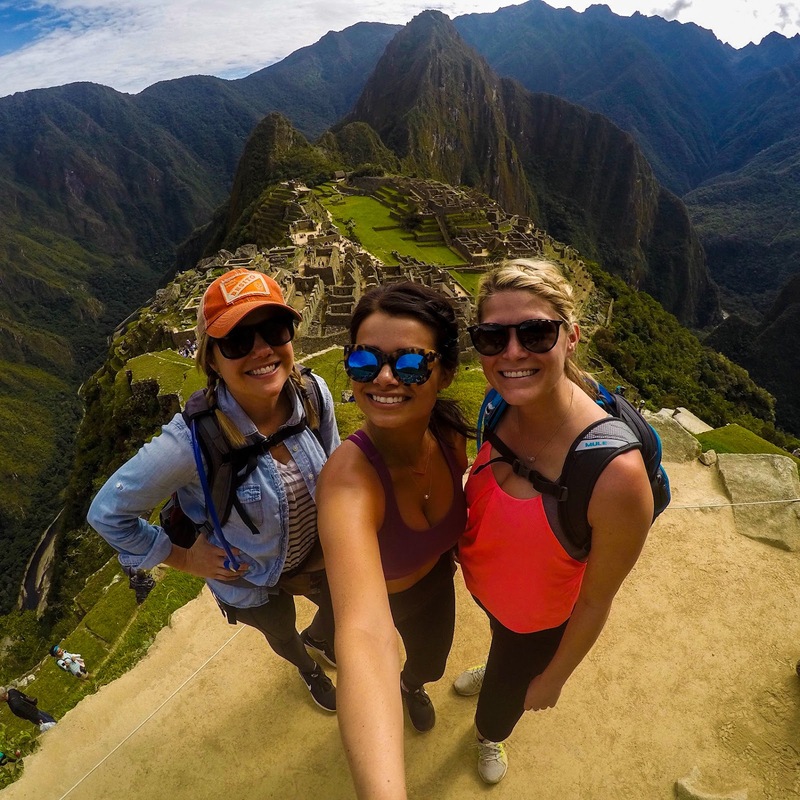 Basically any cliche you can think of, Machu Picchu is that. And then some. Read on for the logistics of how to make it happen. 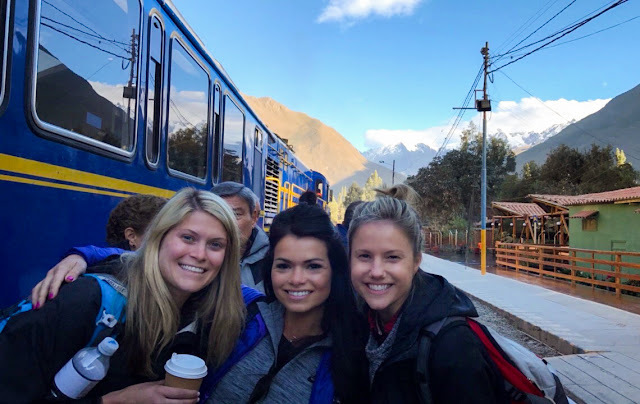 To get to Machu Picchu from Cusco, you will need to first get to Ollantaytambo, which is where you catch the train that takes you into the Sacred Valley. As part of the package you book with Adios, they provide a private van transfer to the train station and help with booking of your rail tickets. (Devin chose Peru rail over Inca rail because they are supposedly nicer trains.) 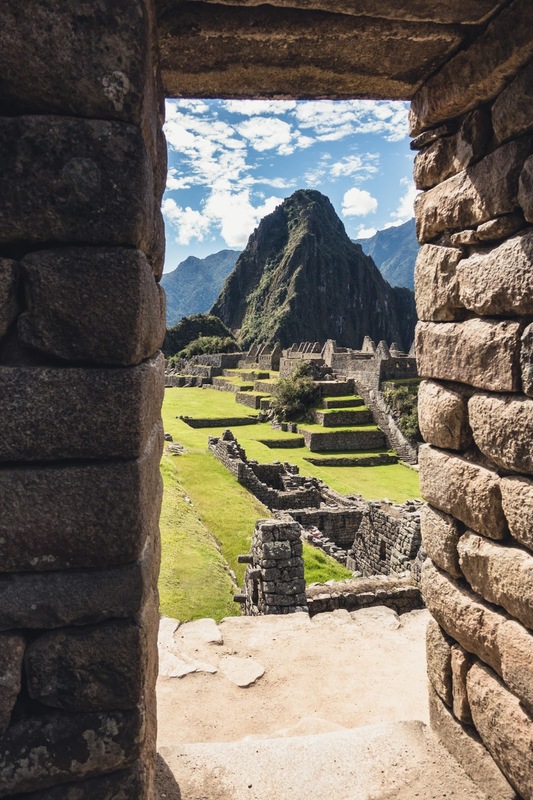 You will either take this all the way into Aguas Calientes (the town at the base of Machu Picchu), or if you are doing the one-day hike, you will get off one stop prior at a designated mile marker and hike into the ruins. 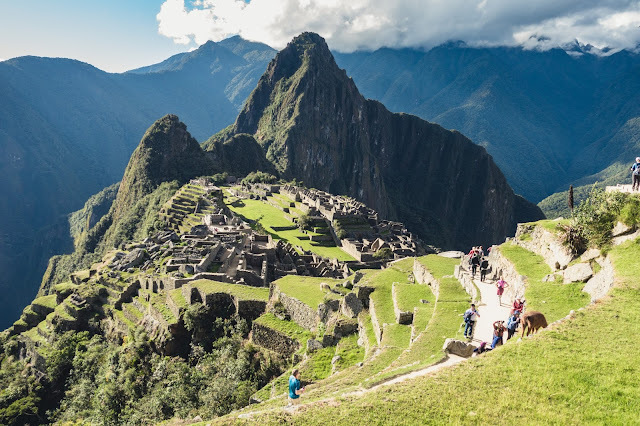 Also note... the amount of people allowed into Machu Picchu each day is limited, so it's important to book these as far in advance as possible. Again, Adios Adventure Travel took care of this for us. 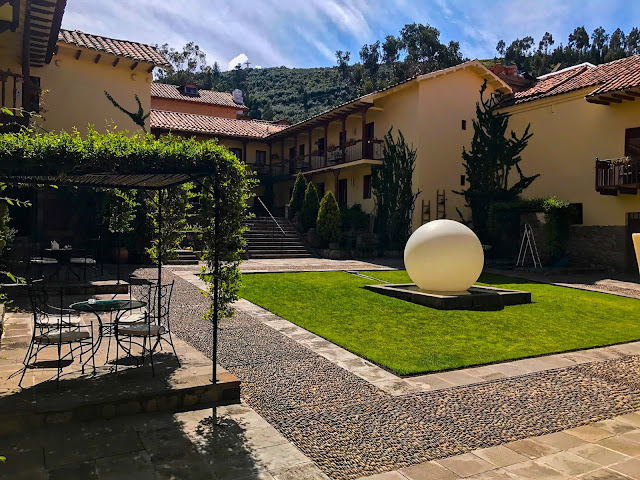 You don't really need anything fancy in Aguas Calientes, as you will most likely be staying just one night and you will be absolutely exhausted. Something clean, simple and convenient is perfect, and we got that in Waman Hotel. Your stay includes free breakfast, as well as a welcome drink in the bar upstairs that overlooks the little town. Aguas Calientes is a town that now thrives on the tourism coming to Machu Picchu... I say this because, as you probably know, touristy towns tend to have some very bad food. Restaurants are a dime a dozen here, but I would not recommend just walking in anywhere. We did this upon arrival and ended up with a terrible lunch. We were a little smarter when it came to dinner and consulted both our tour guide and TripAdvisor. 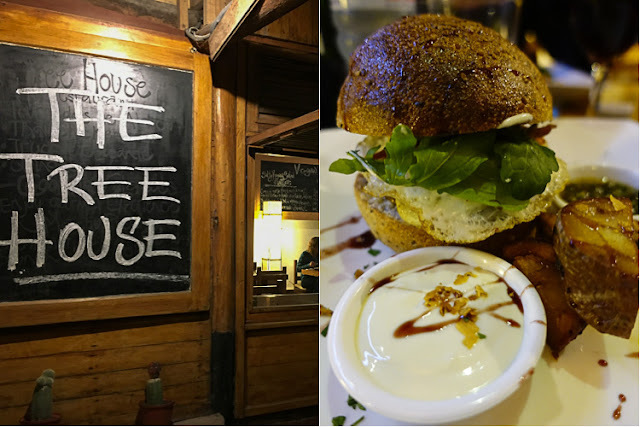 We ended up at Tree House Restaurant and had a very satisfying dinner that more than made up for our experience earlier in the day. You know that saying "so hungry I could eat a horse?" Well... I was so hungry I actually had alpaca again... this time in burger form and was delicious! Our guide for Machu Picchu was nothing short of fantastic. Hubert (pictured above talking to Dana and Devin) was kind, friendly, funny and knowledgeable, with a deep love and appreciation for the Incan culture. 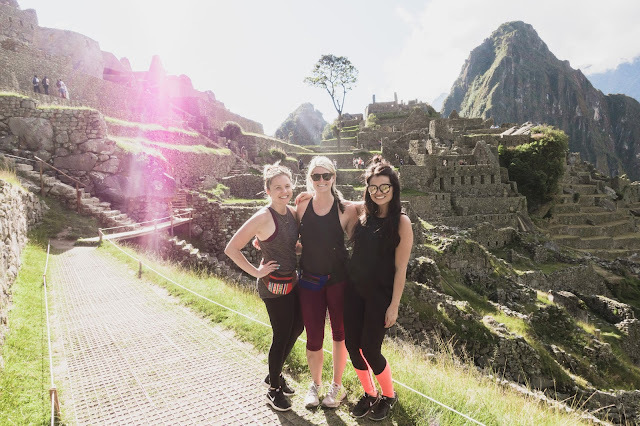 We were originally scheduled to do the big hike on Day 1, and then further explore Machu Picchu on the morning of Day 2. However, Hubert suggested sort of doing everything backwards so we could enjoy Machu Picchu in the afternoon. The King's quarters... where the monarch would stay during large celebrations at Machu Picchu... how about that room with a view?!? And check this out... those rocks in the foreground are carved specifically to mimic the mountain range behind it. The attention to detail by the Incas was incredible. The precision necessary to create this type of stonework that has withstood centuries is absolutely mind-blowing. Hubert also knows all the best photo opps and patiently took approximately 10-million photos of all of us until we got just the perfect (instagram worthy) shot. 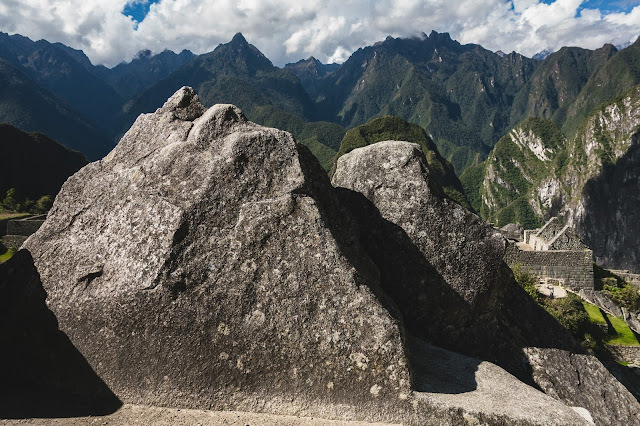 Machu Picchu isn't quite as high as Cusco, but still nearly 8,000 feet in elevation, which is no joke. I'll be completely honest, we were huffing and puffing pretty badly on Day 1, and that was just going up and down the stairs within the ruins. The actual hike was going to take about 5 hours, with a bonus 90 minutes tacked on since were going to have to walk back to the mile marker where the train usually drops off. Hubert very politely asked if we "were absolutely sure" we wanted to do it. He offered another alternative: a couple of very beautiful and scenic hikes within Machu Picchu. After talking it over at dinner, we decided this was probably the best call. 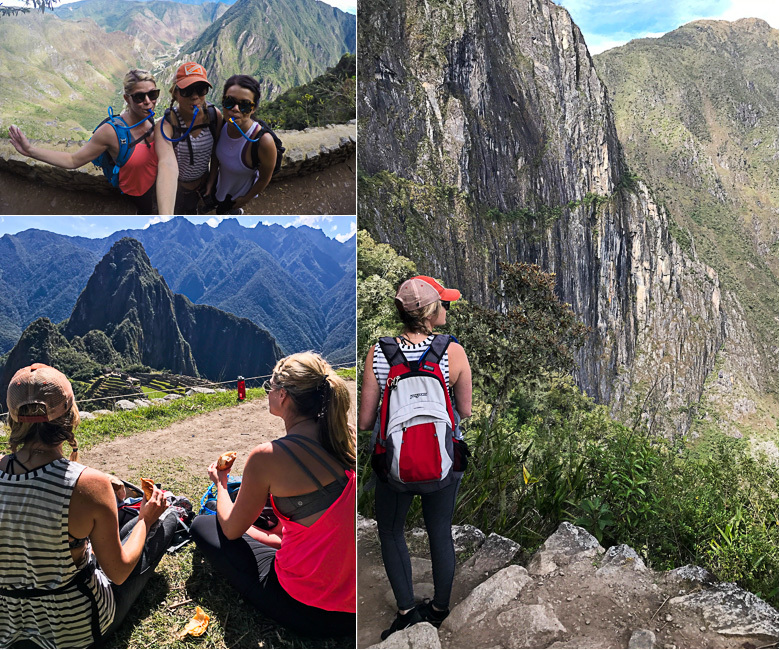 We still utilized our camelbacks, and still got to hike on Inca trails (just not THE Inca trail). We walked down to a drawbridge built into a cliff and trekked all the way up to the Sun Gate (where we would have been entering the park from the full day hike.) We ate lunch staring out at the gorgeous centuries-old civilization and at Hubert's request took some time to meditate once reaching the Sun Gate. Overall, it was still a very rewarding and beautiful day (and likely much more enjoyable for these three muchachas.) That said, if you are in good shape and up for an adventure, I hear the hike is amazing, and if you are really feeling adventurous, there's also a four-day hike that bypasses train altogether. 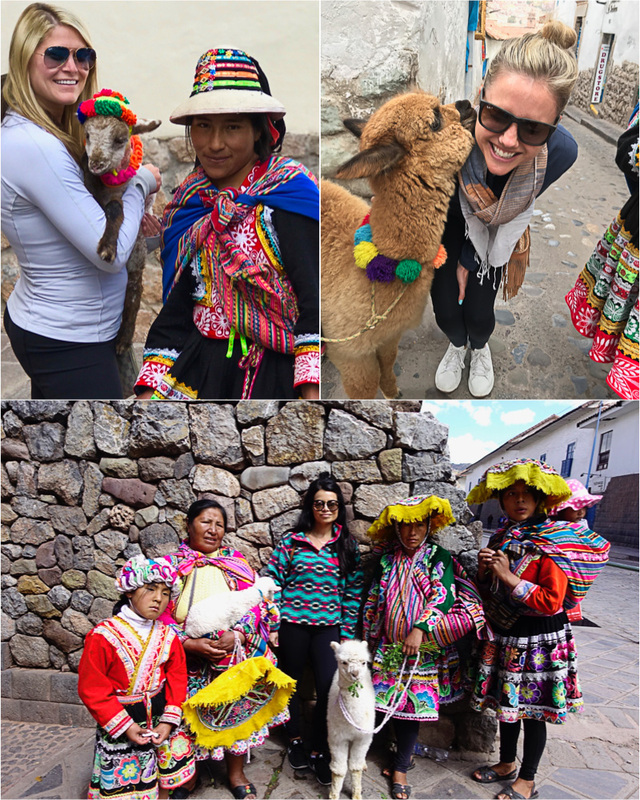 Thanks for the details about Peru! My wife was born in Peru and we are planning a trip to take our boys there for the first time. 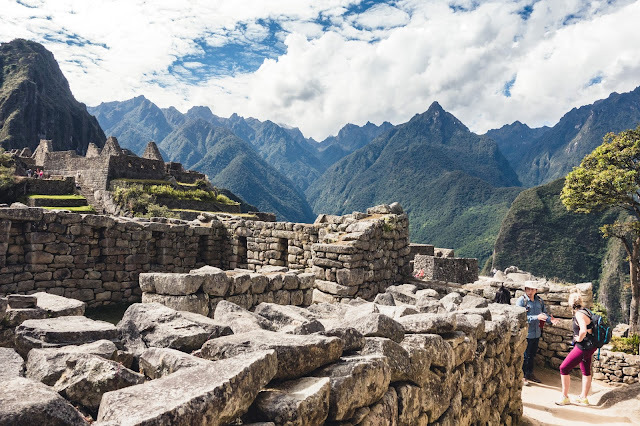 Your review painted a fantastic picture of Cuzco and Machi Picchu. Food and drink is so important to Peruvian culture and I enjoyed hearing about your choices.